Taco Marine. 60 Years & Counting: TACO Celebrates Diamond Anniversary! 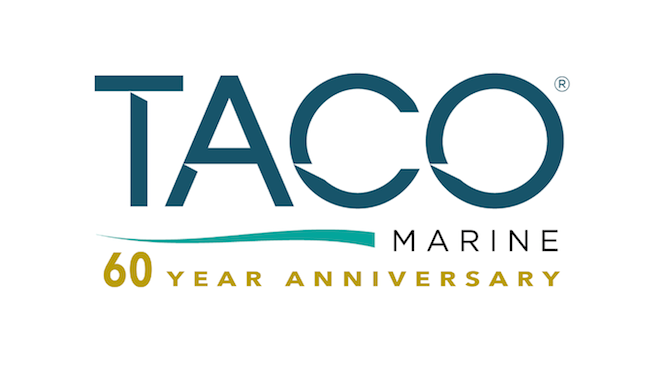 We’re excited to announce that 2019 marks our 60-year anniversary at TACO! To celebrate this milestone, we’re kicking off a yearlong blog series to commemorate our history, recognize our current outstanding team and set the course for our exciting future. As a family-owned and operated business, we take strength from all that we’ve learned and accomplished throughout the years, and look forward to what lays ahead. Looking back, 1959 was a formative year for the United States. For example, NASA announced the Mercury Seven, a group of astronauts who paved the way for space exploration around the globe, and Alaska and Hawaii were admitted as the 49thand 50thstates to the union. Also taking place that same year was the founding of a small Miami-based business TACO Metals by Dave Kushner, a young father and recent transplant to the Sunshine State who established an architectural railing company. TACO grew steadily over the next 10 years as a result of the building and construction boom taking place throughout South Florida. Power of the Past: Dave Kushner standing in front of the original TACO Metals' warehouse in this photo from the early 1960s. The station wagon on the left was the first TACO delivery vehicle before the company began using its own fleet of semi trucks, recalled Mike Kushner, Dave's oldest son. In 1970, Dave received a call from Chris-Craft Boats in Florida to build aluminum railings for their new line of Houseboats. This chance encounter introduced Dave to the recreational marine industry, which was also in its early infancy and beginning to flourish throughout South Florida, and set the course for where TACO is today. In 1982, Dave expanded from aluminum and stainless steel railings and introduced TACO’s Rub Rail product line – consisting of a complete array of aluminum, vinyl and stainless-steel designs for boats of all sizes. TACO quickly became known as a leader in Rub Rail. As the company continued to grow, Dave’s sons, Mike, Bill and Jon joined the family business in the early 80s and eventually took over – helping to continue their father’s legacy after Dave’s retirement in 1992. Today, Jon serves as President alongside twins Mike and Bill, who serve as Vice Presidents. From left to right, Bill Kushner, Jon Kushner and Mike Kushner. Photo circa 1980s. In 2000, the brothers launched TACO’s innovative line of Grand Slam Outrigger products – revolutionizing the ability to fish from center console boats by introducing the patented telescoping outrigger poles that could be mounted to T-tops and hardtops. This product line has continued to evolve over the years and today the GS-280 and GS-380 systems are recognized as the market leaders throughout the industry. TACO continues to rollout exciting new innovations, such as the Pro Series GS-400 and GS-500 along with the award-winning Carbon Fiber Tele-Outrigger Poles. Today, TACO’s vast range of marine products fall within its core product groups, including Sport Fishing, Rub Rail, Seating & Pedestals, Canvas & Tower Fabrication, Trim & Molding, Hinges & Latches, LED Lights and Dockside Accessories. Additionally, TACO holds more than two-dozen patents with several more currently pending. Since 1959, TACO success and growth comes from partnering with its customers to design and build products that meet the growing demands and higher expectations of today’s boaters. To achieve this, TACO continues to reinvest and grow its product development, engineering and quality teams and develop a strong, dependable network of supply chain partners. Jon said that investing in its people, facilities while striving for constant innovation is what drives the company forward. This has been evident in recent years, as TACO has awards in several product categories for new products. Beginning in 2014, TACO’s Command Ratchet Hinge won the IBEX Innovation Award. Just one year later, TACO won another Innovation Award for its Rub Rail Navigation LED Lights. 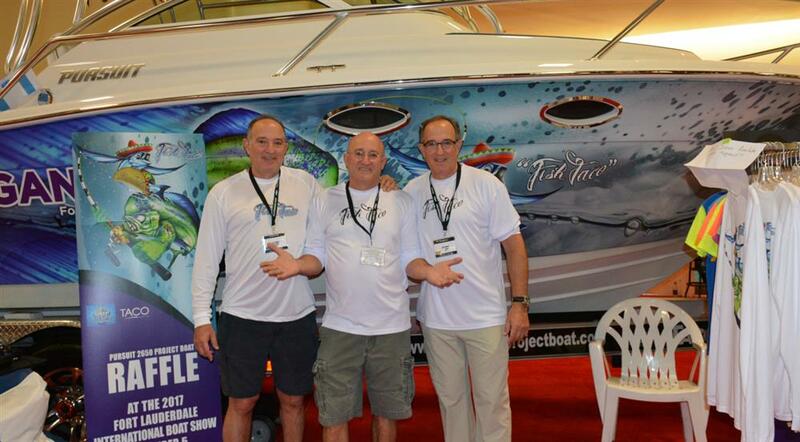 Then again in 2016, TACO won the Innovation Award a new Carbon Fiber Tele-Outrigger Pole at the Miami International Boat Show. 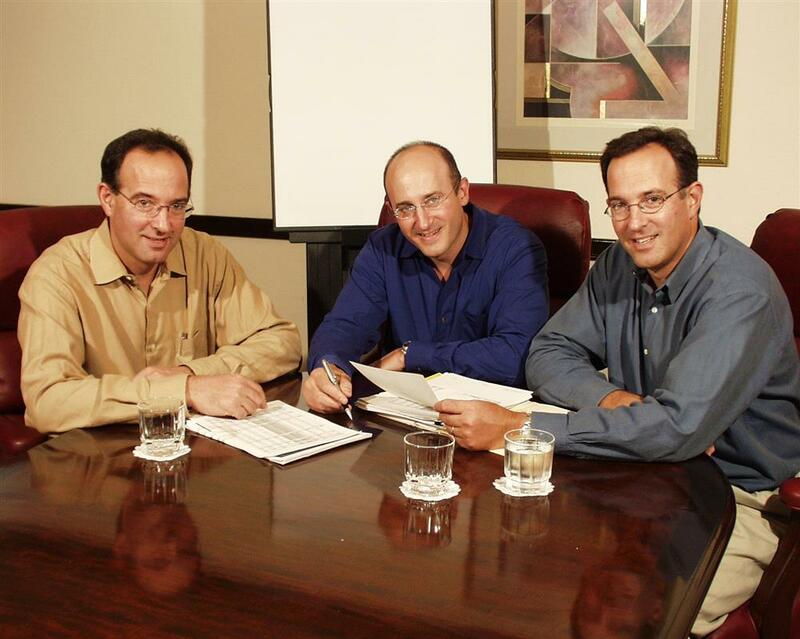 From left to right, Bill Kushner, Jon Kushner and Mike Kushner. Photo Nov. 5, 2017. These values, along with TACO’s ever-present commitments to Quality, Service and Innovation, will carry the company well into the future. Proving this, TACO has many new and exciting products in the works, one of which will be announced later this week ahead of the 2019 Progressive Miami International Boat Show. Without a doubt, the past 60 years have flown by. We have been fortunate enough to work with some of the brightest minds in the industry. We’ve successfully weathered economic changes and shifts in the market, and we are excited and confident as we look ahead. Throughout 2019, we hope you’ll join us on our journey as we pay homage to a remarkable 60 years while celebrating our team and innovating for the future.